Outside of clinical treatments (which may take years to complete), one can’t really “cure” springtime allergies, but there are actions we can take in our home to curb and even prevent attacks. We’ve compiled a list of doctor-recommended tips to make springtime more bearable for the millions of us who struggle (myself included). 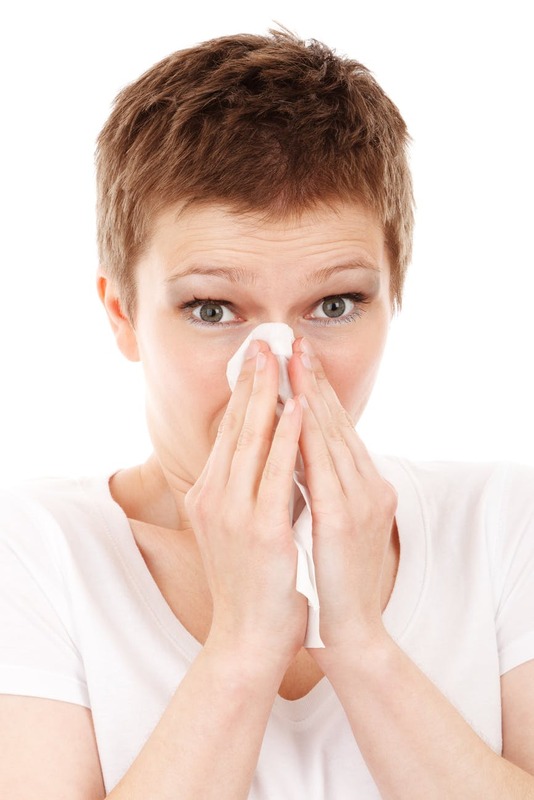 Pollen particles can travel up to 50 miles, so you’re not in the clear in an urban area. “Ever walk outside and see your car covered in pollen?” asks Elliott. “Well, the same thing happens to us, even if we don’t see it.” Which is why it’s important to shower as soon as we get home. If there’s only one room you can keep totally allergy-proof this time of year, make it your bedroom, if only because you spend a good six to eight hours a night there. Wash all the bedding weekly at minimum (also on high heat, Dr. Elliott says) and get encasing slips for your mattress, boxspring and pillows. Wash these weekly as well. Rael half-jokes that he’ll write a doctor’s note for your partner or roommate to do the cleaning because of course, the more allergic you are, the more you’ll suffer while doing this task (certainly, you should wear a mask). Pollen is airborne, so we should keep our living spaces (especially our bedroom) fairly sealed up. If it gets stuffy or hot, turn on the AC, but “not before cleaning out the filters,” says Elliott. Look what the cat dragged in: a whole bunch of allergens. Dr. Rael recommends bathing dogs and cats once a week. “Easier said than done,” he adds, recommending cleansing wipes for our furry friends that aren’t fond of water. Dr. Rael notes that a common misconception among allergy sufferers is that a humidifier will help relieve symptoms of an allergy flare-up. I can relate all too well, as every time spring kicks in, I get the humidifier going with eucalyptus oil and blast it all night to alleviate congestion. While humidifiers can help with the symptoms, they create an environment that dust mites absolutely love, and ultimately worsen the whole phenomenon. “Dust mites can’t drink water, they can absorb it through their exoskeleton,” says. “It’s a paradox because they may provide relief — especially in cold weather — but with allergens, you actually want to remove humidity.” Humidity can also foster mold growth, another nasty allergy trigger in the home. Enter the dehumidifier, which does just as its name suggests. Keep this in your bedroom, and if you’re feeling dryness in your throat or nose, use a saline mist nasal spray (note: this is not a decongestant nasal spray like Afrin, which Dr. Elliott strongly cautions against using for more than two days). You may also want to breathe over a pot of steaming water with a towel covering your head. “You can humidify yourself without humidifying your home,” say Elliott, adding that a hot shower should do the trick, too. You may not need a dehumidifier, especially if you live in a dryer part of the country, so check first. “Ideally you want the humidity in your home to be between 20 and 40 percent,” adds Dr. Elliott. An air purifier is another investment to consider adding to your allergy control program, though these tend to be less effective with allergens like pollen, and better with “fluffy” particles, like pet dander, Dr. Rael notes.